It’s no surprise that content has become the epicenter of modern marketing strategies. And while an integrated digital marketing strategy performs best, any marketing strategy that does not include content will likely not see the light of day. But when 90% of today’s data was created in the last two years alone, how can marketers cut through the noise? To earn the eyes, hearts and wallets of the modern customers, marketers need to do more to stand out. Now that doesn’t necessarily mean that we need to be creating MORE content. Instead, we need to focus on creating content that has impact and creates a great experience for our audience. In addition to an opportunity to test your content engagement smarts, you’ll also gain access to exclusive tips and insights from leading industry experts including Ardath Albee, Seth Lieberman, Amisha Gandhi, Mari Smith and Lee Odden. Right before launching a campaign. Prior to developing your content strategy. Create content that is creative, engaging and visual. Keep doing what you’re doing. They’ll catch on. Follow what other brands are doing. Test every single content type to see what works. Pay for better content distribution. Ensure all brand standards are met. Explain to the audience why the content is credible. They consume and share the content. There were no negative comments. The content was credible so of course they liked it. Providing answers customers are searching for, where they’re searching for them. Is Your Content Experience a Hit or Miss? How did you score on the content experience quiz? 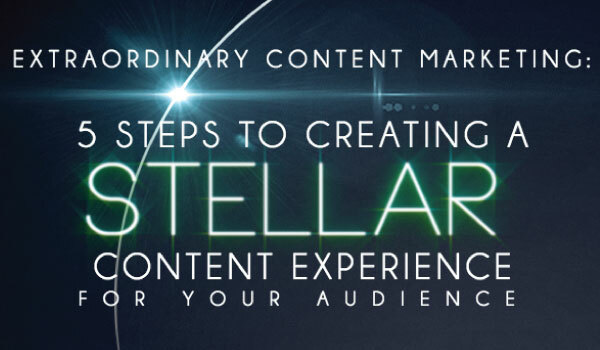 While some of these answers may have seemed like a no-brainer, you’d be surprised at how many marketers often overlook the very basic elements required to create a stellar content experience. At the core, a successful content experience should delight your audience and turn skeptics into fans and fans into advocates. It doesn’t matter how much time and money you put into optimizing and advertising your content, if it doesn’t create a good experience for your audience, they’ll quickly abandon your carefully crafted words and move on to the next opportunity. What steps have you taken to improve the content experience for you audience? Share in the comments below! Both readers and google love quality content, The content will always remain the king. But the things how are you going to crown your content?